Evidence of Nazi atrocities is falling apart due to neglect, warns expert in Holocaust denial. Many of the Nazi camps in Europe are falling apart, an expert has warned in advance of Holocaust Memorial Day. Florence Eizenberg, who is finishing a doctorate on the topic of Holocaust denial, said that the camps, which provide valuable testimony to Nazi war crimes, are in poor condition. Eizenberg visited camps across Europe as part of her research. “Aside from the well-known camps visited by students, most are in a state of extreme neglect,” she said. “There is a lot of focus on gathering testimony from the survivors who are still alive. I think it is no less important to maintain the camps,” she said. Eizenberg explained that many of the historic sites have no government funding, and are maintained solely by volunteers. 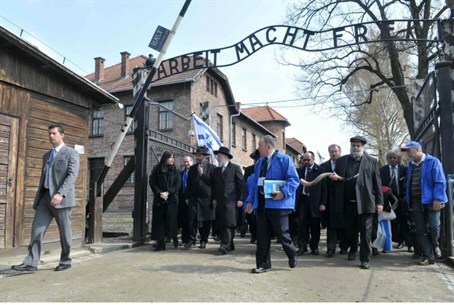 “Aside from Auschwitz most are in terrible condition. There are some very dedicated locals who try to maintain them,” she said.